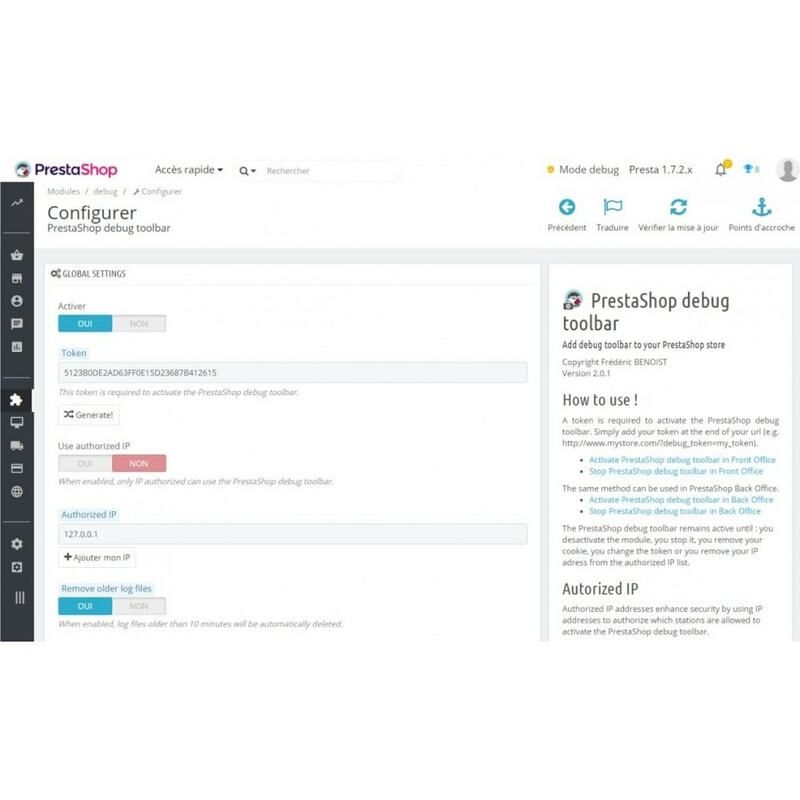 PrestaShop debug toolbar provides real-time information about page's performance, memory consumption, files used, hooks, modules, configuration value and queries executed. 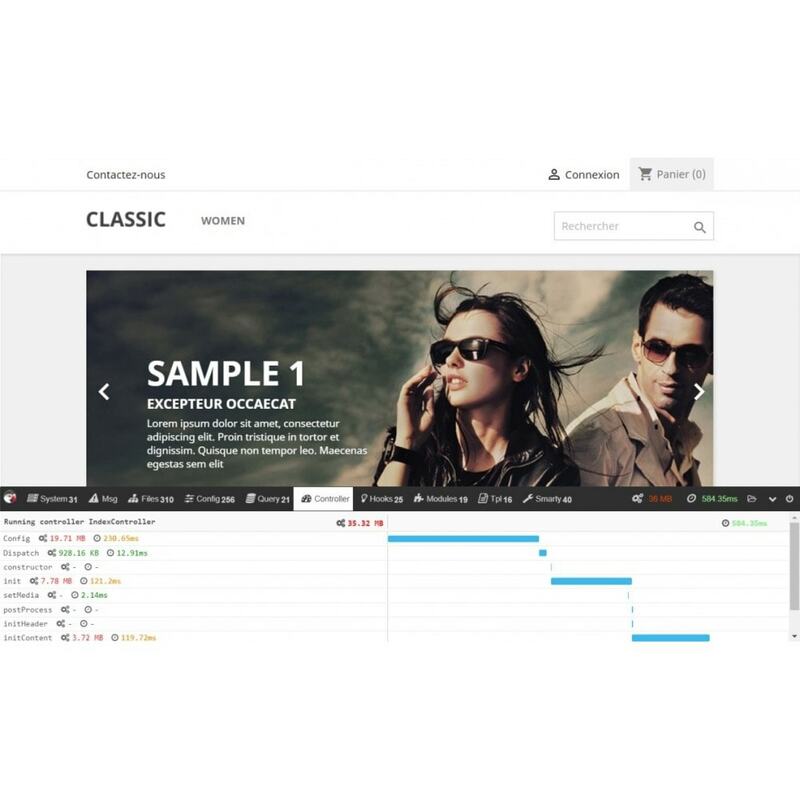 PrestaShop debug toolbar shows a complete overview of which templates and smarty variable are used to build your store page. 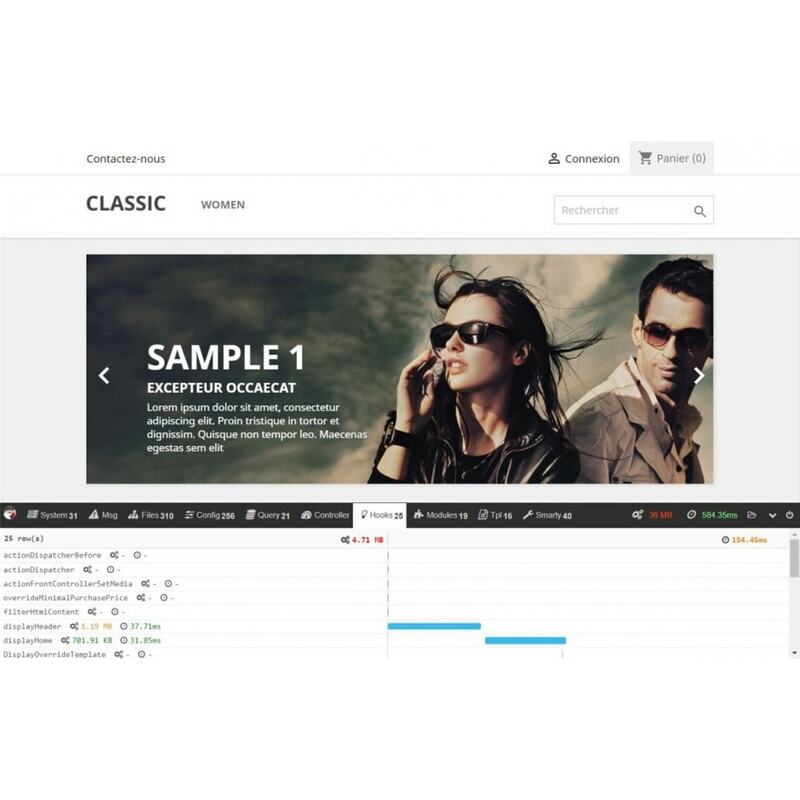 PrestaShop debug toolbar works with standard and Ajax call, on the front-end and the back-end of PrestaShop store. Track the time spent on each request. Find slow modules and make them run faster. Gain insight in what data-access code is doing, what module executes which queries, where are slow queries. Easily find and fix common performance issues. See configuration advise and find unused active module. Restrict access the Debug Toolbar by authorized IPs. Activate debugging session by Token. Useful for experts and junior PrestaShop user alike. Great for developpers and must have for integrators. 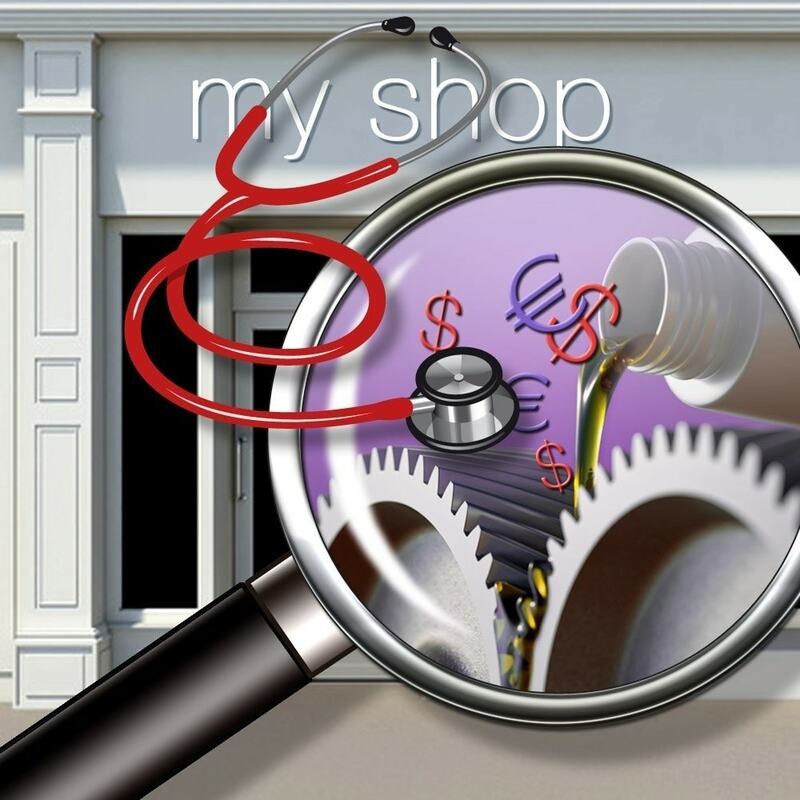 Get complete overview of which templates and smarty variables are used to build your store page. Find ajax and web request informations from the front-end and the back-end of your PrestaShop store.